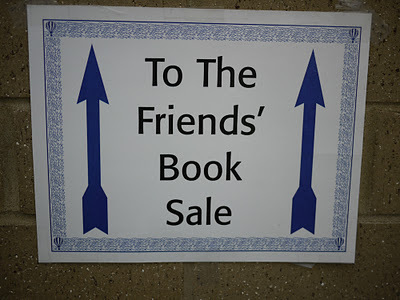 You know those bumper stickers that say, “I brake for Garage Sales?” I need one that says, “I brake for Cookbook Sales.” There is no resisting them, especially the book sales at local libraries. 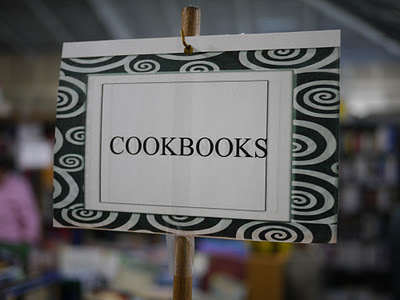 There are always tons of cookbooks and I am so lucky to be surrounded by great libraries. Last weekend, I went to my favorite one that has a sale every single month. To say I cleaned up is an understatement. I filled up five grocery bags and probably could have done more, but even I have to stop somewhere. After all, there is always the next month and the next sale. I wanted to share my latest stash with you and would love to hear if any of these are your favorites, or maybe there are some you have wanted to buy but haven’t yet and are curious about it. Here they are in no special order. You can never miss with recipes from Rick Bayless, Charlie Trotter, Barbara Tropp, and Barbara Kafka. I have been wanting Hot Sour Salty Sweet, and love any book on eggs and garlic. Honey I bought to look up recipes for my husband Bill as he loves honey. Deborah Madison books are wonderful and I didn’t have this one. Can’t wait to try some Edward Lee. Shrimp and Grits is for my now Southern daughter. The word HerbFarm was all I needed to pick that one up. Cookies? Can you ever have enough cookie books? I can’t because my Bill is actually the original Cookie Monster. Grilled Cheese I already have, but I also buy books to give away to friends and family, this being one of them. Tarts just because pastries are so beautiful and fun to make. Another one I already have is Great Dinners from Life. Every cook should have it. It’s so amazing. Finland Food & Cooking I also have but will be a gift for someone. Also amazing and authentic. Betty Crocker Picture Cookbook is a classic, and I hear from readers several times a year asking me if I have it and will I please look up a recipe for them because they lost their mother’s book. Love any canning book. Love any recipe with olive oil or mushrooms. Charleston Receipts is another classic and is America’s oldest Junior League cookbook in print. Whenever I see any of the old Marshall Field’s cookbooks, they are immediately dropped into the bag. Great recipes and great store that I still miss all the time. Slow Cooker Fall Favorites because it’s Fall and I love my Cuisinart slow cooker. Love vegetarian cookbooks. Really love pizza cookbooks. A Cook’s Tour of Libertyville II is close to my heart since I was on the committee that put it together. Some of my own recipes are in there too. Recipes from the Old South will be going to my daughter who got the shrimp and grits book, and Traditional Scottish Cookery because I don’t have enough Scottish cookbooks and I also have Scottish ancestors from my dad’s side. This last pile is one I have set aside for blog ideas this month. 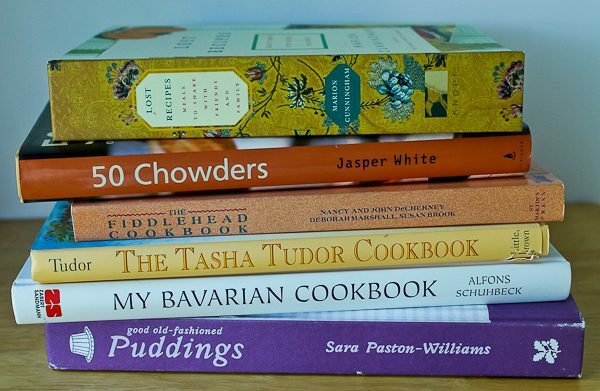 I especially love Jasper White’s 50 Chowders, Marion Cunningham’s Lost Recipes, and My Bavarian Cookbook. Those three I can’t seem to stop reading. The Fiddlehead Cookbook is recipes from a restaurant and bakery in Juneau, Alaska, and I LOVE Alaska. I haven’t started reading it yet because I know I won’t be able to stop. The Tasha Tudor Cookbook is of course old-fashioned comfort cooking, but I love it. There are a few more, including a couple great earlier Jacques Pepin, but those are also gifts and sitting in envelopes waiting to be mailed. I love giving away cookbooks. I can’t tell you how many times I have heard, “But why have a cookbook when you can just look up a recipe online?” And I can’t tell you how that makes my head explode when asked that. Don’t even get me started because that’s a whole blog in itself. Like a kid in a candy store I love nothing more than a cookbook in my hand. It’s comfort reading at its best. Loved seeing these stacks. I have Barbara Kafka’s book. It is party food at its best. Enjoy! Thanks for telling me about the party book. I knew if it was from Barbara Kafka, it would be a keeper. Someday, I hope you will come for another visit and we can spend a weekend going to book sales. We would definitely be the kids in a candy store! How delightful! You are ready for any stormy weather!! 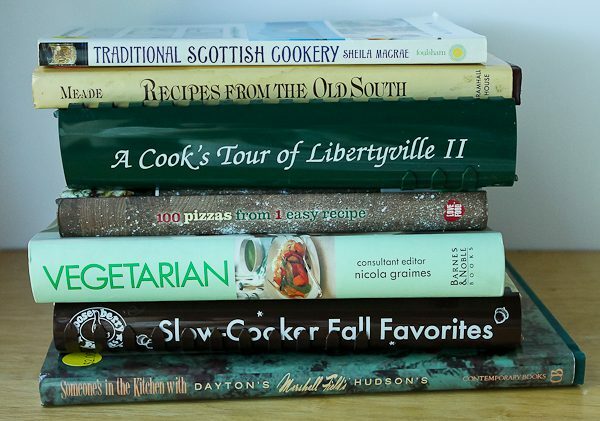 Just snuggle down with a stack of your new cookbooks and have a treasure hunt. I will be looking for your latest recipe discoveries. I wouldn’t know where to begin!! Have fun! Treasure hunt describes it perfectly! I snuggle down with a handful of post-its and have a ball making a note of new dishes to try. 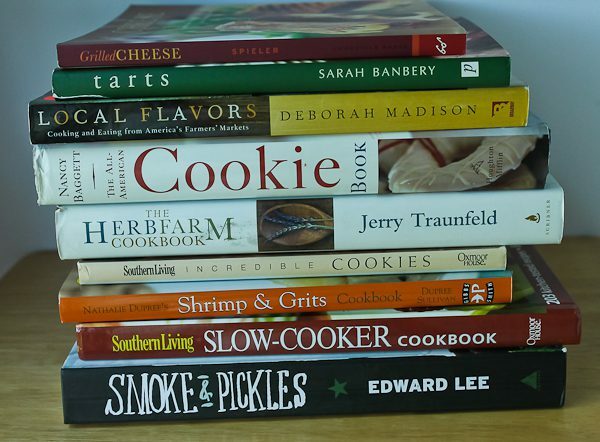 Some cookbooks end up with only a few post-its, others are practically the entire book! 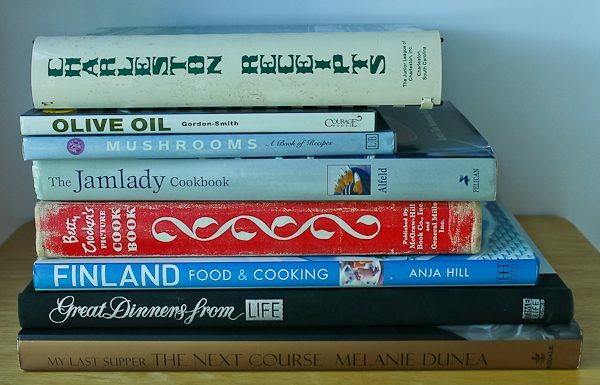 There’s always room for more cookbooks. Somewhere! 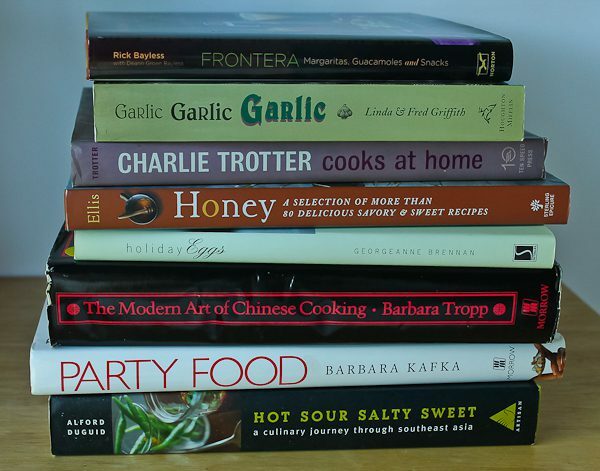 You must have had a great time searching through all those cookbooks and discovering so many treasures. Add me to the list of people who have the Barbara Kafka book. The Deborah Madison book is one of my favorites. Do you have her book on fruit desserts? If not, you need to add it to your collection. And her book Vegetable Literacy. You know how I feel about Jacques Pepin! And Edward Lee! Happy cooking! I can’t wait to dive into the Barbara Kafka book. I don’t have Deborah Madison’s fruit desserts but will keep my eyes open for it. I just ordered A Cooks Tour of Liberyville . The second book did not come up anywhere when I googled it. Poo!!!!!!!! I can tell I am going to be broke reading about your cookbooks and having to order myself copies!!!!! I’m having so much fun though!!!! Lisa, sometimes I will find that book at local book sales. Next time you see a book that I have written about, let me what it is because sometimes I have duplicates and I’ll just mail it to you!